When we get to learn to play tennis and we become better players, our tendency is that the effort is rewarded with winning the game, but what if that does not happen? For this, we can follow mental tennis tips without harming personal and professional performance. 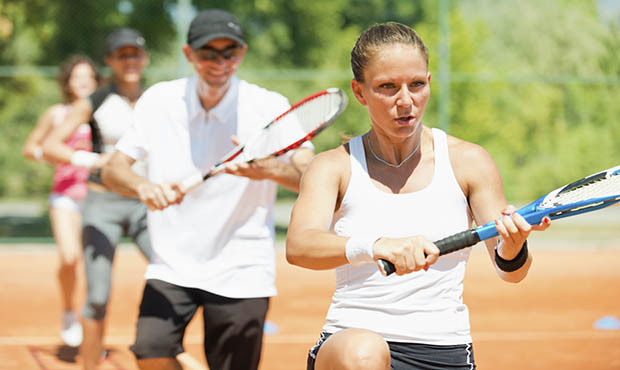 With the following mental tips to win a game in tennis, we can prepare psychologically for any situation by showing a positive attitude throughout the game. The loss of concentration is one of the difficulties that we can find when playing a tennis match. All points must be played with a maximum mental level and optimal performance. The fact of giving much importance to the marker will increase our level of anxiety and may even commit a greater number of errors. When we focus on the negative aspects of the game, our performance ceases to be optimal, being necessary to focus on positive actions by reconstructing our mental framework to face all kinds of situations. In many moments of the match, the tension will increase and we can lose some point by not seeing the ball. We will have to focus attention on the tennis ball and not on the opposing player or on the target. We must recognize each situation and react instinctively according to the skills we have learned. There is a tendency on the part of the players to analyze the reality of the game, thinking about how to win or get the most out of the game. We will try not to analyze and guide us through the technique we have acquired. Our internal dialogue should be positive as a good strategy to reinforce oneself. We will use positive reinforcement phrases to propel us to take action and avoid criticism at all costs. It is advisable to adopt hydration planning depending on the climatic conditions, temperature and humidity in the place of the tournament. Make sure to drink liquids between 4 and 6 hours before the match. Once you get to the track you should keep your liquid reserves high so that during the practice of the exercise you do not get dehydrated. It is advisable to drink during breaks, service changes, set changes, in short, at any time in which the player feels need. Keep your head focused on the game, without falling into distractions that make us perform below expectations, is certainly an exercise in mental strength worthy of the strongest. Regardless of the method with which you prepare the game, do it before you get to the track. Establish a routine to mentally work your matches: do it before each game and after each workout. Despite the distractions that stand in your way, the mental preparation will progressively not distract you and center your 5 senses on the track.